If we want to combat injustice and end suffering, we can't expect to feel good. I was thinking about this while the polar vortex hit the Midwest with record-low temperatures. Chicagoans were able to find the positive in the stories I saw trending on social media. Many videos showed residents throwing boiling water to see it evaporate immediately. Thousands shared a video of Chicago's railways set on fire in order to keep the trains running. There also were women showing off their frozen hair, and I learned about cryoseisms, or frost quakes. Unusual but harmless entertainment. After seeing all of that, I was somewhat shocked when I stumbled across headlines about Chicago's homeless. A story in The New York Times outlined the experiences of some of Chicago's estimated 80,000 people without shelter. Here was a heartbreaking and important story about a man sitting in the snow, struggling to get $45 for a motel. As important as I thought the story was, I was disappointed to see it only had about 500 retweets. A video of rail tracks on fire had more than 8,000. These social media figures provide insight into what we deem newsworthy. The fault is that what we find interesting is not necessarily what is most important. A reporter once told me that their most-clicked stories aren't about city hall meetings, but instead marijuana. Media organizations know this. Being competitive, firms that seek to maximize profit through clicks and ad revenue, they have the incentive to feed us puppies and pot stories. That's why, if you search for stories about Chicago's homeless, you'll find few stories about the homeless. Poverty doesn't get clicks, so no one cares. You will have an easier time finding headlines about Candice Payne, a Good Samaritan who booked hotel rooms for those in need. This story has been covered by every news organization, and it crowds out any other stories about Chicago's homeless population. While I applaud Payne's gesture, it's necessary to analyze the reason we love this story: this is a feel-good story. It's a story about a hero, and Americans love a story about a hero. It gets clicks. This story is not about the homeless; it's about a savior. We only talk about the homeless when we can feel good about it. If we want to combat injustice and end suffering, we can't expect to feel good. We have to combat our social ills in uncomfortable ways. We have to read, write and talk about the daily plight of the homeless. Only the harsh reality will beget meaningful political change. I understand that there are many other political and social issues that beg for our attention. To juggle them all would be an unbearable stress. Still, homelessness is a grand inequity that requires confrontation. The way we treat these human beings is wrong. We have justified their class as the result of some moral failing, a weakness of character. Instead of recognizing them as human beings, subject to a variety of social and economic factors, we have dehumanized them. We act like they're invisible. Like they're a nuisance. Like they're animals. It is an immense shame. Every human being has the right to safe shelter, to be able to sleep without being cold and afraid. 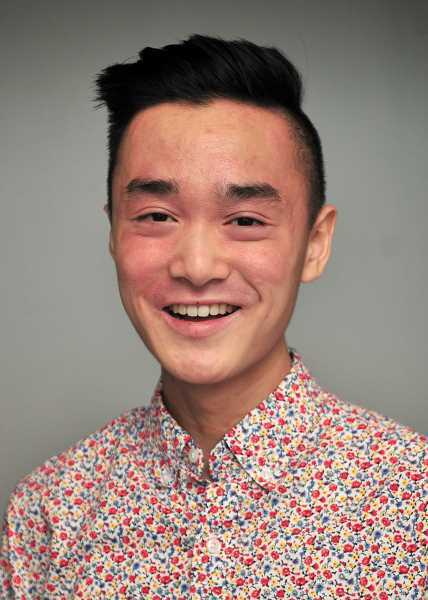 Philip Chan is a senior at West Linn High School.